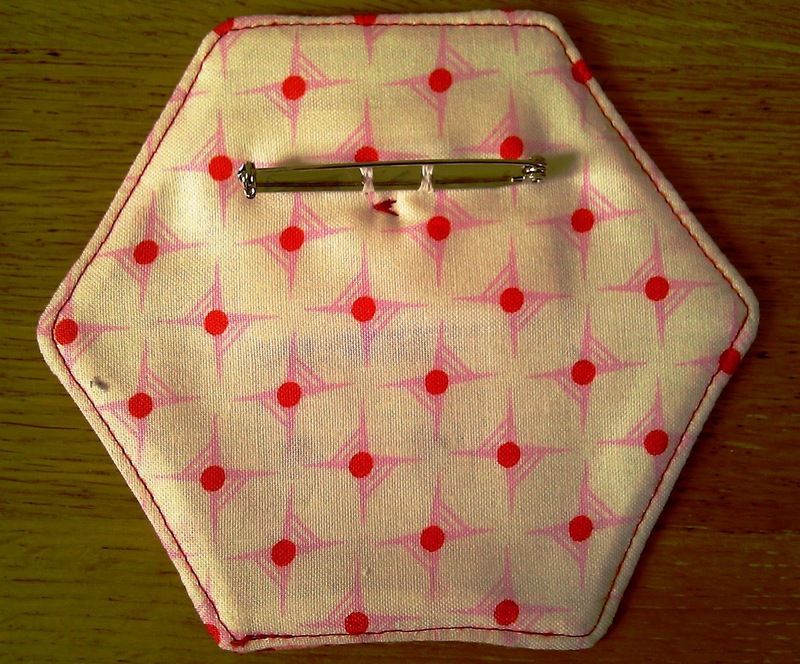 Give Away Your Quilts, Not Your Underwear! Well the Il Divo concert last night was absolutely amazing! The live orchestra were fantastic, and the power and passion in the voices of the 4 male singers was spine tinglingly awesome! There were a few flying objects making their way on stage (much to the surprise of the singers!). And there was me thinking this would be a civilised concert!!! You’ve probably heard about Lynne’s call for quilts to be donated to a UK charitable organisation called Siblings Together. Siblings who are separated in care, get to come together during a summer residential, to spend quality time together. A quilt will be given to each child at the residential, which they can then keep and take home as a memory of their time there. Bee Blessed love making and donating quilts, especially to children. 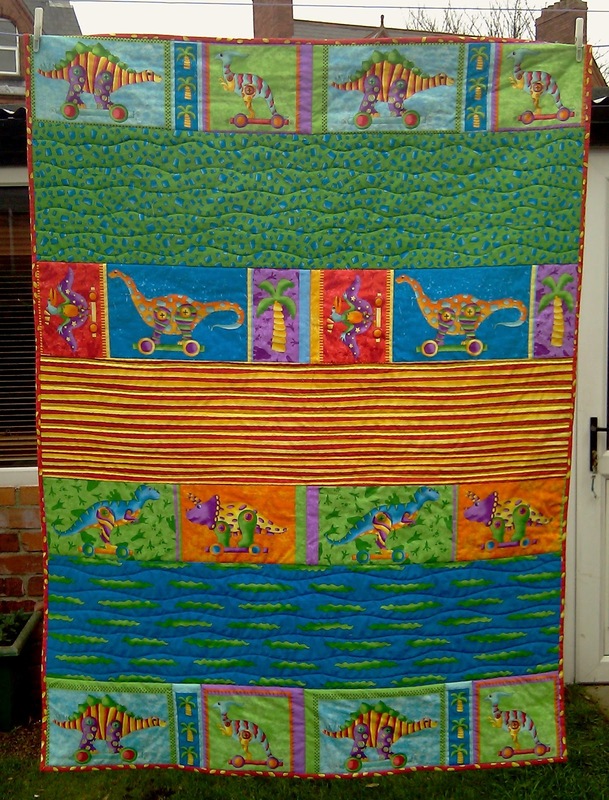 So we have posted over to England one of the dino quilts we recently completed. We hope that this quilt will bring some comfort and memories to a little boy separated from his family. 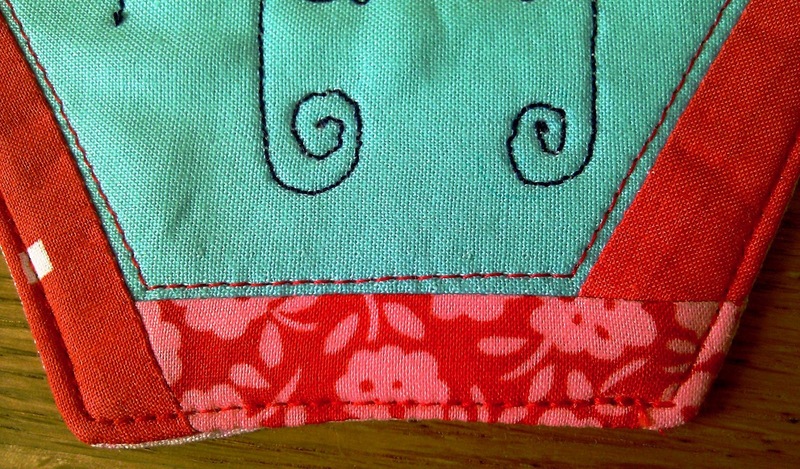 And check out the flickr group to see the other quilts being donated from all over the world. I’ve also managed to get a name tag made for my secret swap partner for the Fat Quarterly Retreat in June. Can only show you a sneaky peek!! I’ve stalked her on flickr, and have tried to incorporate some of her favs. Let’s hope she’ll be wearing her badge with pride at the retreat, rather than an embarrassed red face! Previous Previous post: Cards Anyone?